Midwest Equipment Co. Chuck Eilers - Midwest Equipment Co.
Chuck e njoys spending time with his wife and 3 daughters working on their acreage. 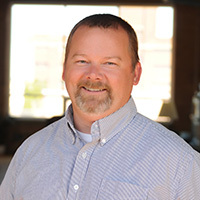 He strives to exceed client expectations each day as part of the Midwest Equipment Company team. In his free time he enjoys hunting, fishing, camping, and working in his garden. Chuck is an active member in: Pheasants Forever, The National Wild Turkey Federation, and The Rocky Mountain Elk Foundation. When he is rooting for the Green Bay Packers or the Iowa Hawkeyes, you may catch Chuck snacking on something that is made with bacon.